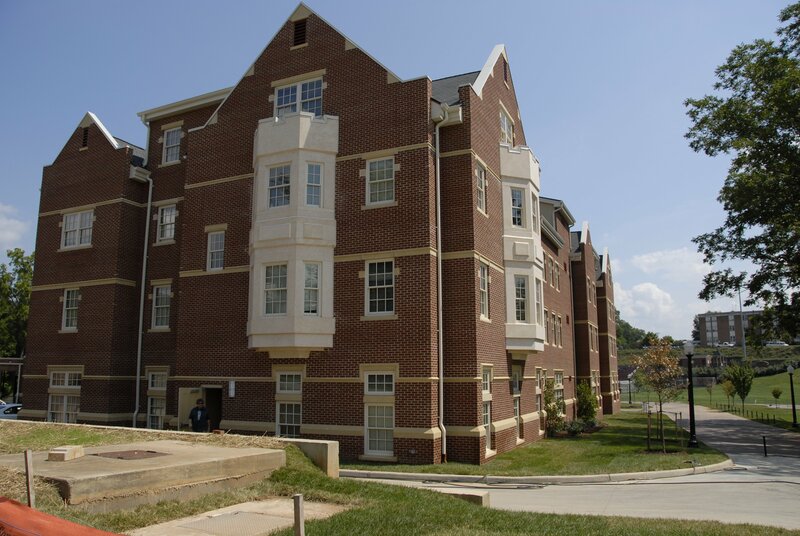 The new residence hall at Roanoke College in Salem Virginia is the second building to apply for their LEED (Leadership in Energy and Environmental Design) certification on campus. In an effort to construct this “green” structure, low VOC (volatile organic compound) materials were used. StonePly does not contain significant VOCs, so it was the perfect product to use in this construction. 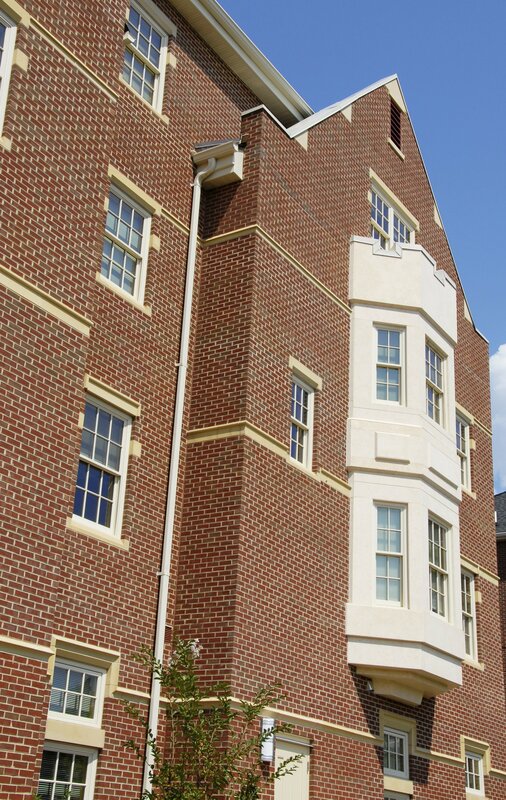 The StonePly Egyptian Limestone bay window surrounds were custom made for the new residence hall. Extending out from the building, they provide a gorgeous façade and unique decorative look. The light beige color of the surrounds adds a bold contrast against the red brick of the building, making them really stand out. The window framing adds to the overall appeal and draws attention to the beauty of the building. The panels were simple to install using Z clips, provided by StonePly, and caulk to secure them to the building. The light weight of the StonePly panels made installation quick and especially easy; they are sure to stay secure and look beautiful for generations.